Name: General Membership Meeting: Cultivating Resilience in a Fast-Paced, High-Stress World...A Healthier and Happier YOU in 2019!!! Cultivating Resilience in a Fast-Paced, High-Stress World...A Healthier and Happier YOU in 2019!!! To truly thrive in life, we need to cultivate a body-mind that is resilient. That means whatever stress, demands, and challenges that we encounter during the day – we have the emotional intelligence and can adjust and reset quickly. You will be inspired with tips on how to be more resilient in 2019 to bring your best self forward. 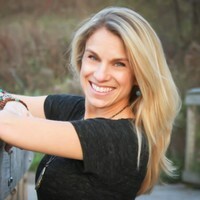 Lori Kearney is a Certified Integrative Nutrition Health Coach and wellness educator who teaches busy professionals how to stay energized, reduce fatigue and improve brain clarity and overall health and outlook on life. Using the principles of clean eating, self-care and mindfulness, she helps her clients take the mystery out of eating well and have fun making the transition to a healthier lifestyle. Lori has a private practice, Mindful Health in Rosemount, MN where she coaches clients one-on-one, facilitates corporate and community workshops, and leads group health coaching. She has helped people change their relationship with food and experience lasting results. Lori is a graduate of the Institute for Integrative Nutrition, the world’s largest nutrition school. In addition, she has a BS degrees in Psychology and Business from Saint Cloud State University. Lori dedicates time each week to reading new nutrition and behavior research to give her attendee’s the most current information.